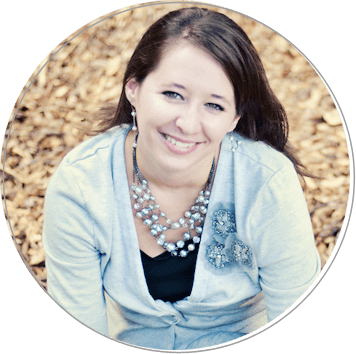 Subscribe Now to Receive a FREE "Meet My Child" School Printable! Note: I may earn money or products from the companies, products, or links mentioned in this post. My family has been on a quest to eat healthier lately, and I came across these two recipes that seemed to have a little bit of a healthier edge than what we usually eat. I mean wraps are healthy right? Pita chips have got to be better than regular potato chips right? I think so. I am a huge fan of wraps and sandwiches, my husband not so much. 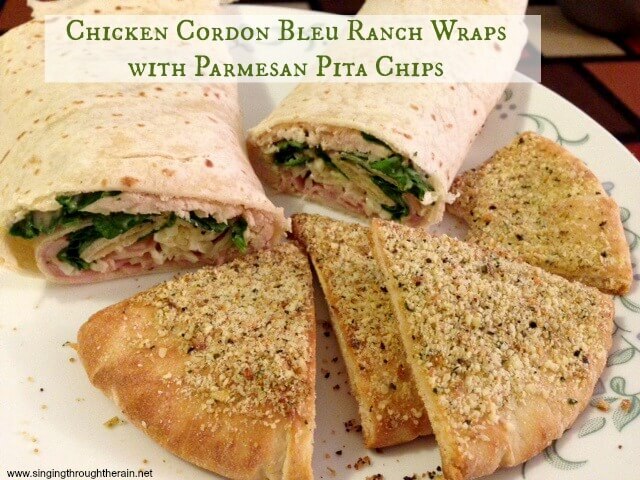 But when I saw these Chicken Cordon Bleu Ranch Wraps, I thought this would be the perfect recipe because I love wraps, and my husband just loves Chicken Cordon Bleu. I have to say, I was right. It was quite a hit with my husband, sister-in-law and myself. I am one of those people that just has to have a few chips with any type of sandwich or wrap I eat. I was searching for something crunchy to go with these wraps, but looking for a healthier alternative and I found these Parmesan Pita Chips. My husband didn’t care for them – I think he was expecting something a bit different, but my sister-in-law and I loved them! They have just the right taste of flavor, without all the salt. The preparation time was very easy for these two recipes, I bought a rotisserie chicken to help make things easier and it definitely made the preparation a lot faster. If you are looking for an easy, but healthier alternative for dinner or for lunch, definitely check these recipes out. I know I will be making these again for my family very soon! 2-3 cooked and shredded chicken breasts OR use a rotisserie chicken to save time. 1. Shred your chicken or take the pieces of a rotisserie chicken and set aside. 2. Chop up and spinach and ham and set aside. 3. Put chicken, cheese, spinach and ham in separate bowls. 4. Warm your tortillas in the microwave for about 25 seconds to soften them. 5. Divide your chicken, spinach, ham and cheese evenly between your tortillas and top with ranch dressing. 5. Roll wrap together and cut in half. 1. Preheat oven to 400ºF. 2. Lightly brush the back and front of each whole pita bread with olive oil. You want just a light touch, you don’t want them to be soaked. 3. Combine the Mrs. Dash Italian seasoning mix and Parmesan cheese in a small bowl. 4. Sprinkle evenly over pita rounds and cut each into 6 triangles. 5. Arrange on a baking sheet and bake for 5-6 minutes. 6. Remove when they are a light brown color and let cool. You can serve these with dip, hummus, or just eat them alone! Yum. My honey loves Chicken Cordon Blue’s maybe he will give this a try. Thanks for linking up to Snickerdoodle Sunday. This looks delicious! It’s going on my menu for next week. 75 Tailwind Tribes You Need to Try! Learning to Sing Through Whatever Life Brings my Way!